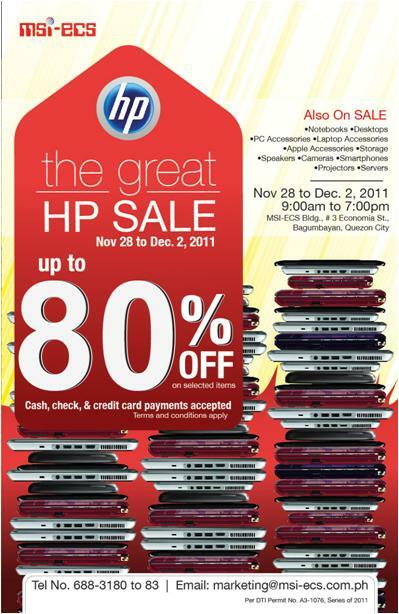 The Great HP Sale is from November 28 to December 2, 2011. 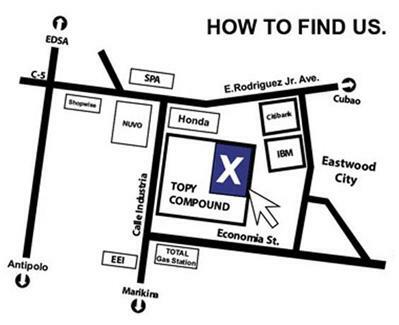 Sale Hours: 8:30 am to 7:00 pm. Although laptop is limited to HP brand, other participating brands for accessories include Acer projectors, Microsoft hardware, Genius peripherals, Imation storage, Belkin iPod/iPad accessories. Items on Sale include Notebooks, Desktops, PC & Laptop Accessories, Apple Accessories, Storage, Speakers, Cameras, Smartphones, Projectors and Servers. Cash, Cheque and Credit card payments are accepted.